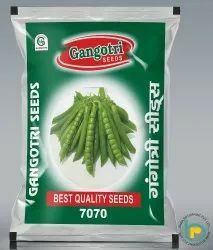 Our range of products include seeds packing pouch. Our company is engaged in supplying a widespread variety of Seeds Packing Pouch. These seed packaging are versatile presses have intrinsic qualities like high speed, fast setting; overlooking your product shall not exist anymore with the optimum shelf display by stand up pouches. Moreover, our products are available in variety of thickness and sizes for meeting the customers' requirements.